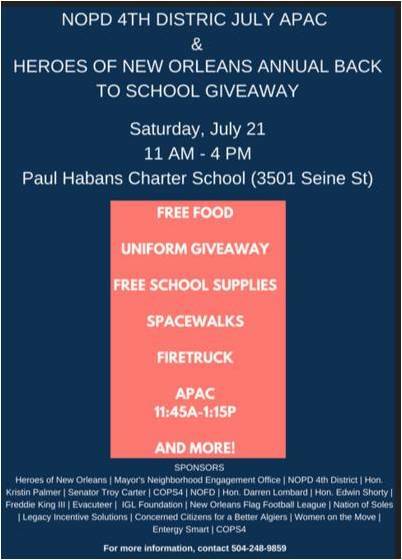 This is a great opportunity to hear what the 4th District has been up to this year and a chance to ask any questions they may have about public safety in Algiers. For those only interested in the APAC portion of the event, it will be held in the school’s gym from 11:45a-1:15p. This entry was posted in News by Walnut Bend Civic Association. Bookmark the permalink.